The particle system can be fine tuned using several configuration options, including a parallax effect which is controlled by the mouse on desktop computers or the gyroscope on smart devices. Particleground works in any browser that supports HTML5 canvas. Important: Bitbucket have changed how webhooks function, and the technique described in this post will no longer work without modification. One of my readers has created an updated version, and I recommend trying that instead. I no longer use this deployment method and won’t be updating my tutorial or answering comments, but I have left the comment section open so that readers can post their tips and help each other out. Git may not have been designed as a deployment tool, but for small projects it can do the job quite nicely. What makes Git deployments attractive is how frictionless the process is: make some changes to your project, merge them into your production branch, push the commit to a remote repository and like magic the changes are live! Git knows which files need to be changed or deleted, so you don’t have to think about it. If you’re already using git to version control your project then you probably won’t even need to modify your existing workflow, once the initial setup is done. If you’ve ever wanted to display your latest Twitter tweets on a website, TweetPHP lets you do that using PHP. TweetPHP is a rewrite of my old Twitter RSS feed parser, which stopped working when Twitter phased out their v1 API. See TweetPHP’s Github for documentation of all options. Caching is employed because Twitter rate limits how many times their feeds can be accessed per hour. If you are experiencing problems using the plugin please set the debug option to true. This will set PHP’s error reporting level to E_ALL, and will also display a debugging report. 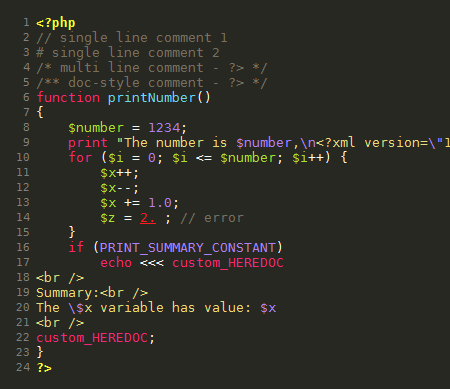 If you receive the PHP warning “[function.unserialize]: Error at offset 0 of 49 bytes”, it might be the case that you have magic quotes enabled in your PHP configuration. When working with the Big Cartel ecommerce platform it is common to map a custom domain to your store. For example, you might like to use the domain mysite.com instead of your default Big Cartel subdomain mysite.bigcartel.com. Big Cartel provide instructions for configuring domain mapping using a CNAME record, so that www.mysite.com becomes an alias for mysite.bigcartel.com. This works great except for one thing: if a customer omits the www prefix from your store’s URL they will get a big fat 404 error. This is because your CNAME record only matches the www subdomain. When Rdio rolled out their redesigned application recently, I was intrigued by the app’s scrolling implementation. There are no conventional browser scrollbars in Rdio, and instead scrollbars appear on-demand when the user’s mouse enters a scrollable portion of the interface, or when the user performs a mousewheel or trackpad scroll. Rdio’s implementation mimics the experience of scrolling in OSX Lion using a trackpad pointing device, except that it works for any user, on any platform. Inspired by Rdio’s scrollbars I have created a jQuery plugin that emulates Lion’s trackpad-style scrolling, regardless of the user’s pointing device, browser, or platform. Better handling of checkbox results in the emailResults method. A custom form submit URL can be passed to the FormBuilder constructor. Useful when using FormBuilder in an environment that is performing URL rewriting. Replaced deprecated ergei functions with preg_match. Checkbox field types are correctly processed when field is not mandatory, and the user didn’t check any of the available options. Added new field type: file (for file uploads). Note that files are currently not emailed when using the emailResults method. Any handling of the uploaded files should be accomplished manually by accessing PHP’s $_Files array. The textbox and textarea field types now accept an optional defaultvalue parameter. Fixed a bug that meant checkboxes had a CSS class of ‘fbheckbox’ instead of ‘fbcheckbox’. If you encounter any problems with the new version please let me know. 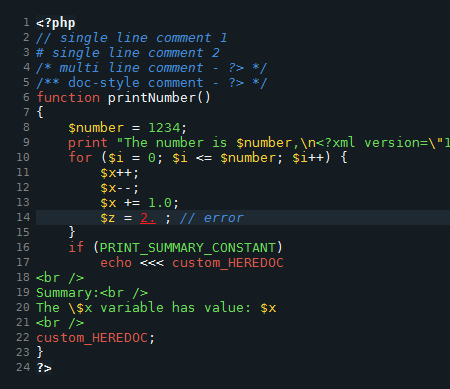 Last year I created a port of the Monokai syntax highlighting theme for phpDesigner and posted it in the phpDesigner forums, but I think it deserves a proper home so I’m archiving it here on Pixel Acres. My weapon of choice for code editing is the excellent program phpDesigner, but every so often I like to test drive a different editor to see what I might be missing out on. Recently I spent some time playing with Notepad++, and one feature that jumped out at me was the ability to choose from a large number of pre-installed syntax highlighting themes. When I switched back to phpDesigner, the default blue-on-white color scheme seemed a tad boring, so I decided it was time to pimp my IDE! Unfortunately user created themes for phpDesigner are thin on the ground, which left me no option but to make my own.